What a wild emotional ride! Here are two guys who have a professional relationship and a personal one, but just can't get on the same page. Ryan's struggling with the whole "act like a settled, mature man who just happens to be gay so that the decision makers will like you" plan that his agent cooks up. Maybe it's a good move for his career. His heart has issues with it, in every single way. He sure doesn't make it easy for Wyatt to either go along with the plan or tell him to shut up and eat the egg white omelets. Wyatt has reason for needing the bucks this gig could bring, and he could fall for Ryan in a big way, which makes the client/chef relationship more difficult. This story didn't go in "possible rent boy" direction, which pleased me, because the whole money + private life issue could have gone that way. Instead, the struggles are more "Dare I let myself be vulnerable?" on both sides. Honesty, to themselves, each other, and other people, was a constant question, definitely providing some angst. These two were very hot together, even while they agonized over the wisdom of getting involved with each other. Wyatt's cast of friends alternated between helpful and needing to be slapped, and there's definitely some stories waiting to be told there! 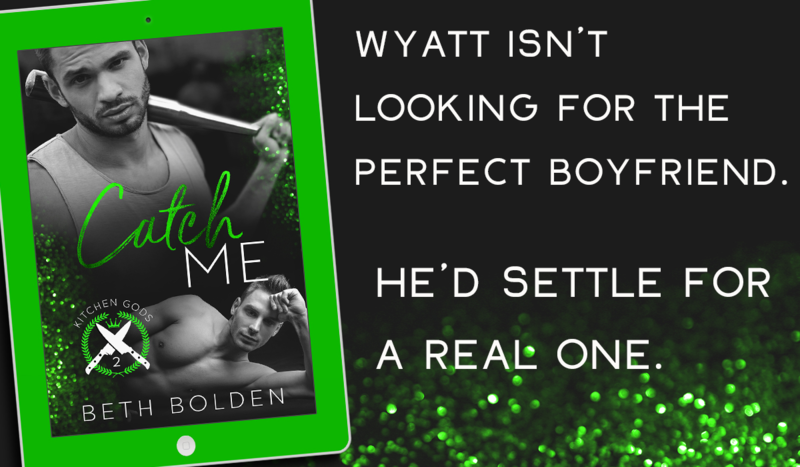 (Book one in this series is Bite Me, and Wyatt has lots of friends. Yum! Doesn't look like reading order is critical, Miles and Evan made perfect sense where they appeared here, although now I have to go catch up on them.) All the secondary characters were vividly drawn, especially lizard-man Eric the agent. 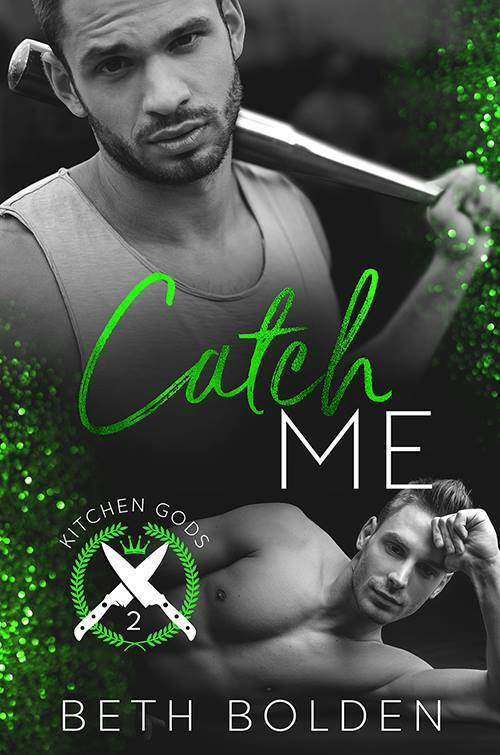 The story is character driven, we get to see Wyatt in the kitchen but not Ryan on the ball field, which I did hope to see. Ryan has a patchwork of other interesting skills, though, including things that Wyatt can participate in. Sometimes in ways he really would rather not. But they'll make it as a couple in the end, even if they have a huge amount of difficulty to over come. 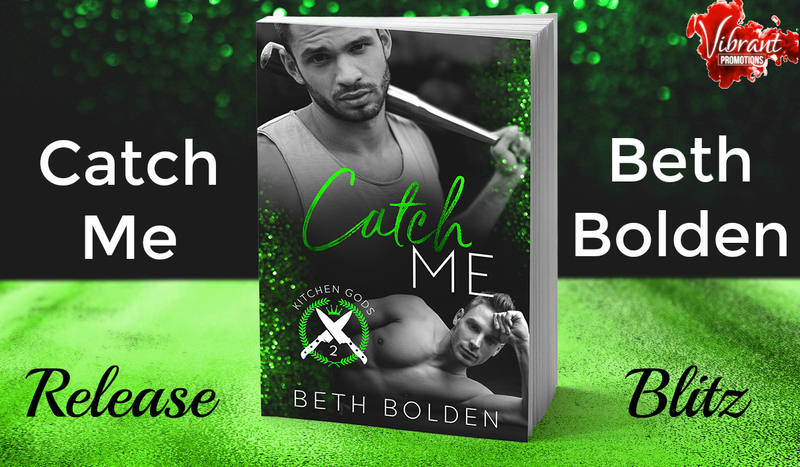 Beth Bolden makes these guys work for their HEA, and it's so worth it. Scroll down for a taste.